The RSMembership! 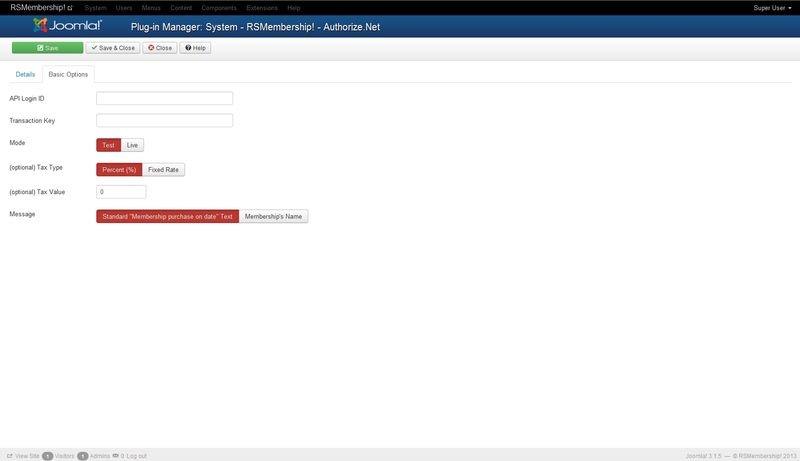 Authorize.NET plugin allows you to subscribe to a membership using the Authorize.NET payment gateway. 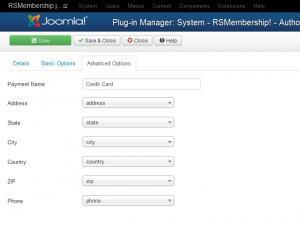 To install the plugin, you simply to download it from the your rsjoomla.com > View my downloads area, head to your Joomla! 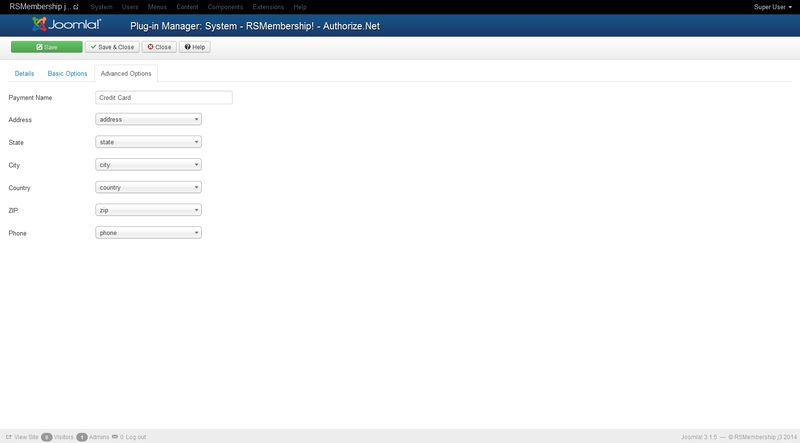 administrator panel, Extensions > Install / Uninstall > browse the file and click the Upload and Install button. 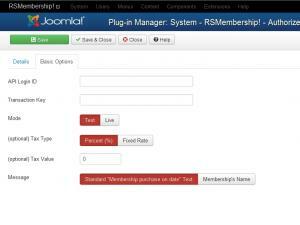 To use it, open the Plugin Manager and enable the System - RSMembership! - Authorize.Net item. Message - Standard "Membership purchase on date" / Membership's name: the name of the item that is being purchased. 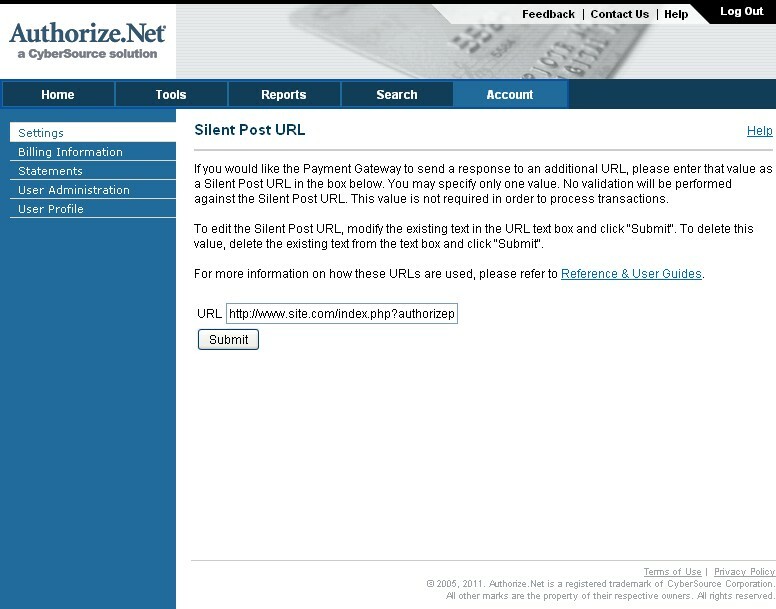 This will be displayed in the Authorize.NET shopping page. After the configuration has been performed, a new payment option will be available in the frontend, when subscribing to a membership, named Credit Card. Choosing this option will enable the subscriber to pay via Authorize.NET.